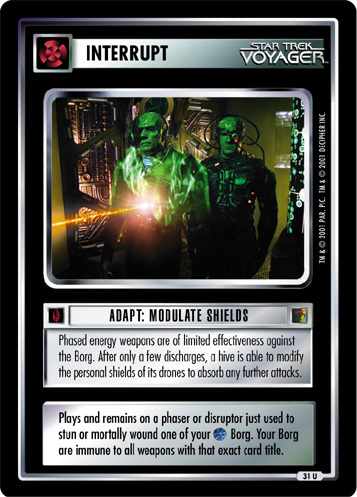 Plays on your prey (any opponent's personnel); you may return incident to hand at any time. (Unique.) Know your prey. Your Hirogen who have Anthropology add prey's printed regular skills. 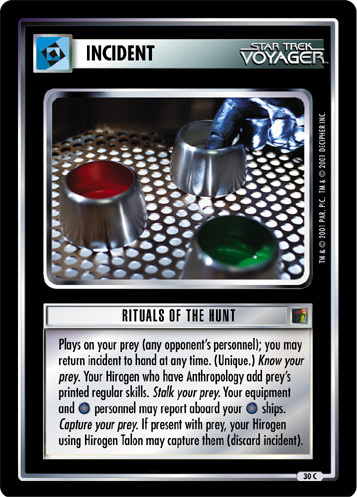 Stalk your prey. Your equipment and personnel may report aboard your ships. Capture your prey. 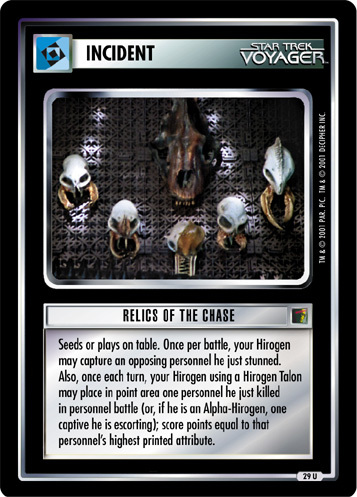 If present with prey, your Hirogen using Hirogen Talon may capture them (discard incident).